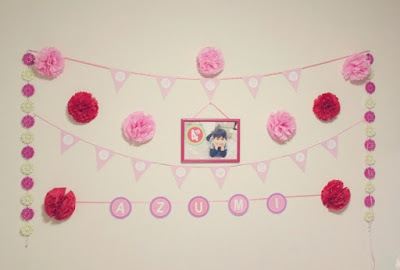 Azumi’s 4th birthday home party is extra special because we basically prepared all the decors by ourselves with the help of the internet for ideas and tutorials. It's amazing how this tool can help you save a lot, and/or challenge your effort as well. This year’s party may be simple but it was fun, memorable and fulfilling. 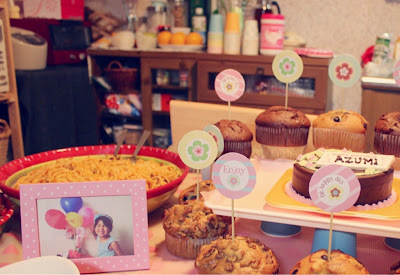 If you find yourself planning a child’s birthday party, you may try one of these DIY decor ideas before you hit the store for those expensive ready made decors.. I found these free printables online. This is very easy to make. 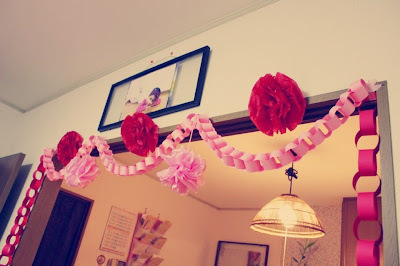 All you need is tissue papers or any soft papers, scissors and any strings or thread. 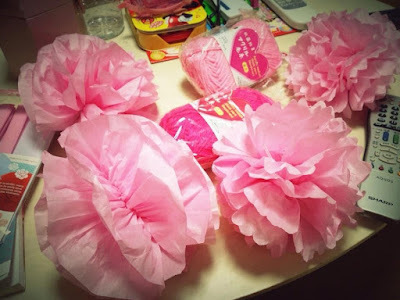 Just search "how to make pompom flowers" on youtube. 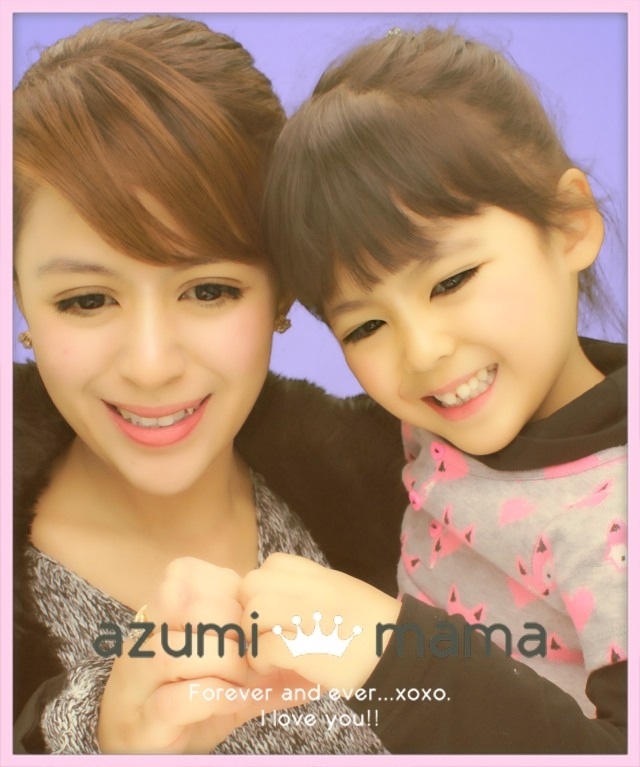 I bought the materials in ￥100 Shop. 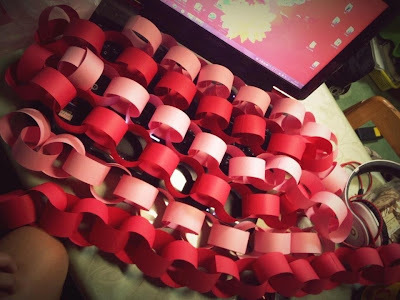 Thank you to my sister for helping me do these chain garlands made of paper. It did took some time but it was easy to put the strips all together. 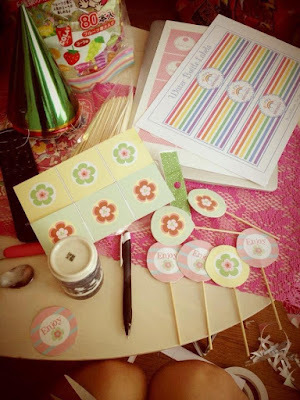 I downloaded the Pink Happy Birthday banner from the collection of FREE pink and purple birthday printables designed by Katie from Green Apple Paperie. It also includes invitations, cupcake toppers, cupcake wrappers, favor tags, water bottle labels, flat cards, tent cards, and candy bar wrappers. With few sleepless nights of searching, printing, cutting, etc, it was all worth it! 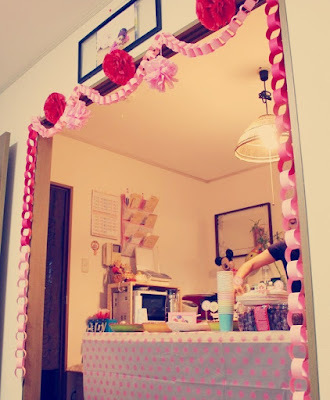 Make a lot of do-it-yourself birthday decorations for you little pne rather than use store-bought ones to make the party more personal and memorable.